Prepare yourself to hear a rhythm, feel a beat and taste a spice that will dazzle your soul. Southwest Louisiana is located in a portion of the Bayou state where the people display resilient creativity, rustic elegance, and relish sharing collective soulful essence that tantalizes visitors. Many who leave cannot wait to get back to search for more Creole soul. The lifestyle Southwest Louisiana residents live is easy and inviting. We love our families and don’t mind letting others become extended family. Check out the video below produced by the City of Lake Charles and Visit Lake Charles to highlight where to experience Creole Culture in Southwest Louisiana. 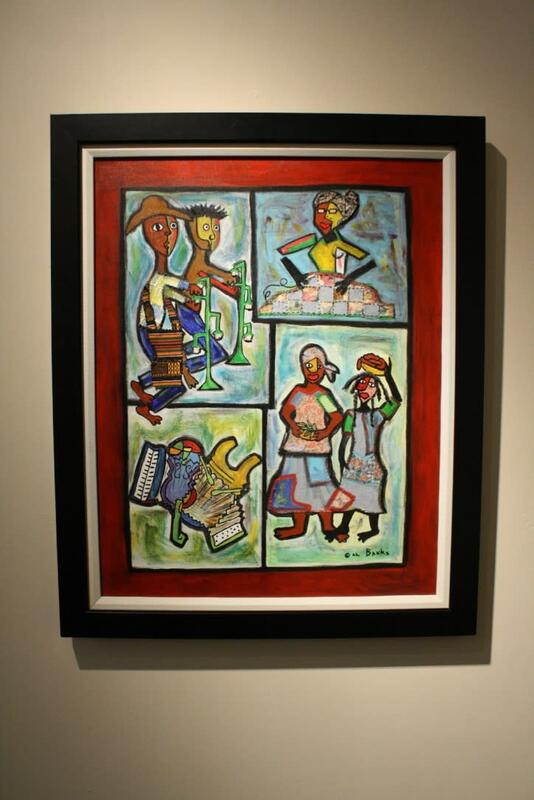 One of the most frequently asked questions from visitors in Southwest Louisiana, is what is Creole Culture? A Creole is a Louisiana native with a mixture of African-American, American Indian, French and Spanish heritage. The term has evolved over several centuries, at one time being the descriptive phrase for the children of first generation French and Spanish immigrants who populated the Louisiana Territory and after Louisiana became a state. But over time, with the intermixing of African slaves, white settlers and Native Americas, a whole new identity was created and the word Creole was the term that brought a melting pot of people under a social umbrella. The Creoles were some of the “first families of Louisiana,” and official records reflect that they have been here for over 300 years. Creole Soul can be recognized in the religious, culinary, social, and entertainment expressions of these people with deep Louisiana roots. Residents and visitors alike find that the rhythm and beat felt and heard on the streets and back roads of Southwest Louisiana are soothing to the soul. Music and the region are intricately tied together, especially when music giants like R&B singer Nellie Lutcher, blues master Clarence “Gatemouth” Brown, Jazz musician Chester Daigle II and Zydeco legends like “Rockin’ Sidney” Simien, Boozoo Chavis, Chris Ardoin, Lawrence Ardoin, Sean Ardoin, Keith Frank, and Rusty Metoyer are part of the region’s music history. Zydeco is the predominant musical form performed in Southwest Louisiana and is directly related to the Creole experience. It is a unique form of expression that was born in Southwest Louisiana. Known as “la la” music, Zydeco is influenced by French, Creole, West African, Cajun, Carribean, and R&B music. Soul sounds can be found year-round in the casino resorts, local festivals, American Legion Halls, and music venues. Many people think that Cajun & Zydeco music are interchangeable, but Zydeco music of the Creole people differs not only with origin but also with instrumentation from Cajun music. 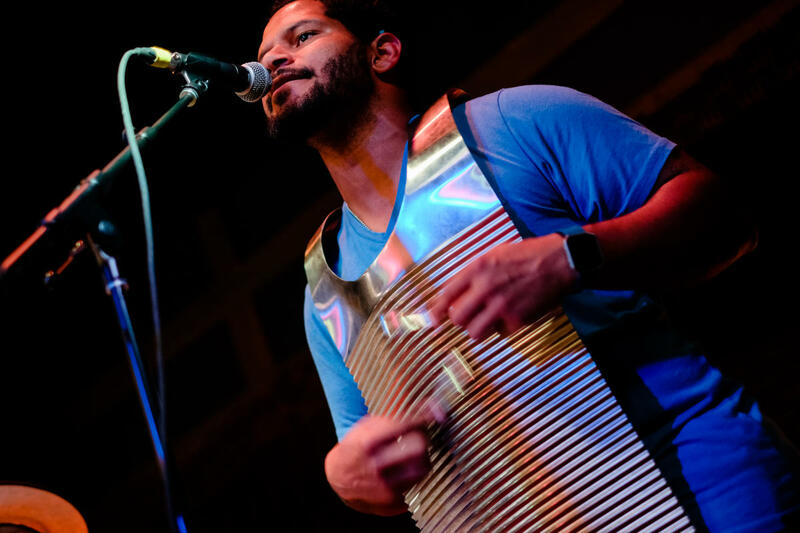 Zydeco has more of a rock beat with an electric guitar being central with Cajun music incorporating a fiddle or steel guitar; however, the instrument that unites them both is the accordion. To compare these musical styles, go to Creole Nature Trail Adventure Point and jump onto the music stage! Southwest Louisiana residents love a party, and there are plenty of festivals. Several festivals celebrate the cultural and historical significance of African-Americans and Creoles like: the Martin Luther King, Jr. Freedom Festival, the Black Heritage Festival, Juneteenth, the Downtown Lake Charles Crawfish Festival, Sacred Heart of Jesus Catholic Church Fall Bazaar, Immaculate Heart of Mary Catholic Church Bazaar, Marshland Festival that features Cajun and Zydeco music, BooZoo’s Labor Day Festival, Boudin Wars: Food Competition and Festival, Calca Chew Food Festival, and Gallery Promenade. Mardi Gras kicks off the state and local festival season at the beginning of every year. African-American krewes such as Krewe of Omega, Krewe de Classique, Krewe des Gens Extraordinaires, Krewe Chetu Jadi and Krewe de Magnifique are always crowd favorites. 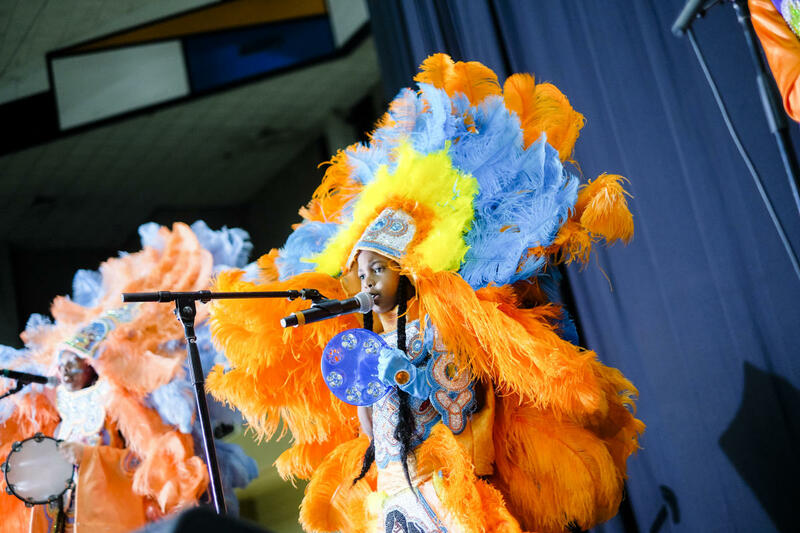 Other festivals of interest include Lake Charles Black Rodeo, Chew’s Multicultural Hair Affair and the Tournament of Stars Basketball Tournament. Nobody leaves Southwest with their bellies empty and taste buds not satisfied. Residents take food seriously all day, every day, all year. 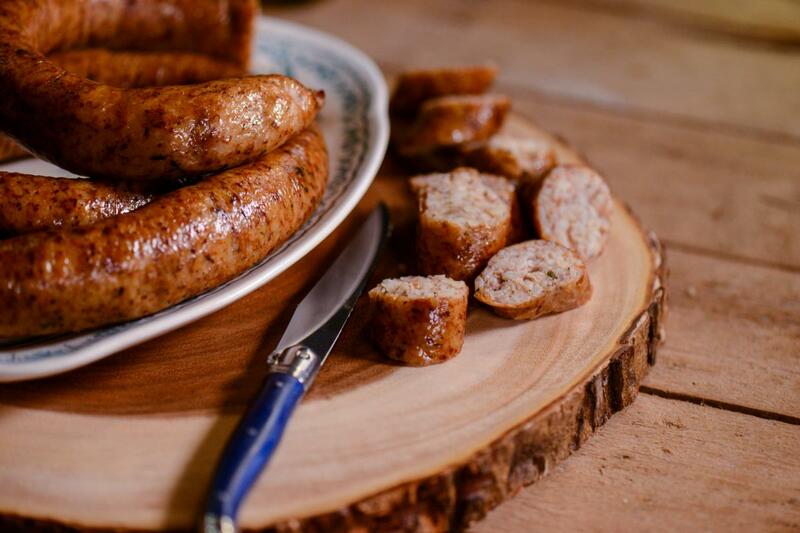 The region is known for boudin (a European inspired and Creole seasoned sausage), cracklins (fried pork fat), smothered meat served over rice in its own gravy, fried or grilled seafood, étouffée, gumbo, Creole sauces, and the list goes on and scrumptiously on. The Creole Soul experience can be found in small mom-and-pop restaurants, gas stations, and meat markets. For a list of hot spots, scroll to the bottom of the page. Like the people, Creole food is a blend of the various cultures of New Orleans including Italian, Spanish, African, German, Caribbean, Native American, and Portuguese. Creole cuisine is thought of as a little higher brow or aristocratic compare to Cajun as many of the dishes were prepared by servants in the kitchens of well-to-do members of society. With additional resources, dishes consisted of an array of spices from various regions and creamy soups and sauces. You can compare Cajun & Creole seasonings at the kitchen exhibit at Creole Nature Trail Adventure Point. Places to see include the Black Heritage Gallery and the Mardi Gras Museum, both located in Central School Arts & Humanities Center. The Creole Nature Trail and Boudin Trail offer visitors a way to experience the rustic and delicious side of the area. Creole Soul is also found in both Catholic and Protestant churches. Followers have the opportunity to worship several days a week at some of the most historically significant houses of worship in the region like Sacred Heart of Jesus Catholic Church, Immaculate Heart of Mary Catholic Church, Reeves Temple CME Church, and New Sunlight Baptist Church. Other churches of note can be found in Mossville, a settlement outside of Lake Charles.